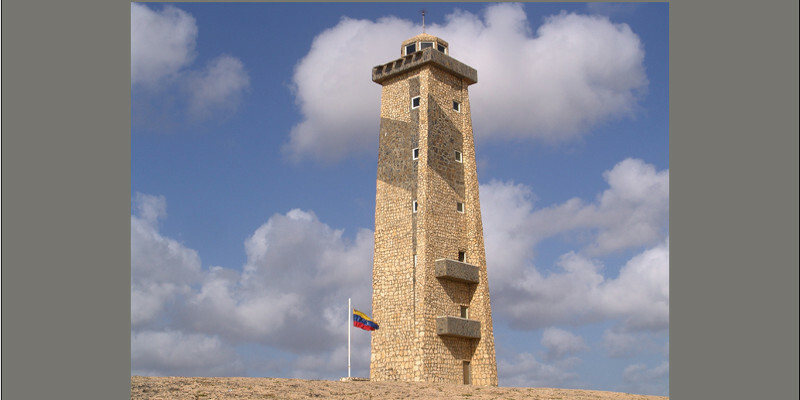 At the Northwest end of Venezuela, in Falcon State to the North of Coro, is the charming Paraguana Peninsula, which will warmly welcome you. The dry climate and the steady breeze that blows all the year round make this land a privileged one. 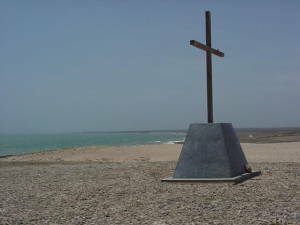 On the peninsula Western coast you will find Punto Fijo, headquarters of the world biggest oil refiner center. 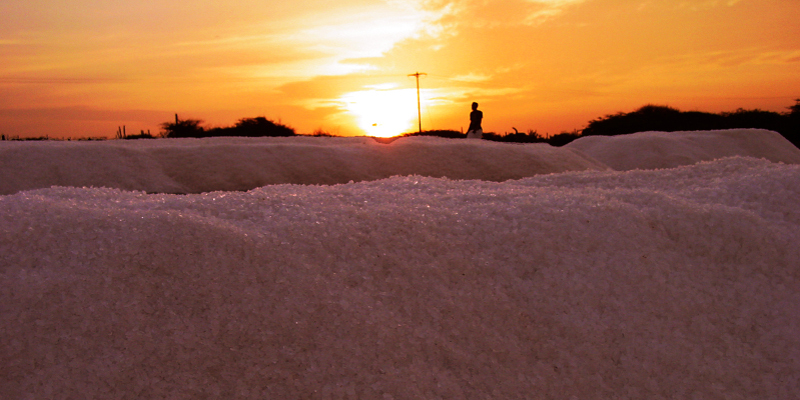 It comprises two refineries: Amuay and Cardon. 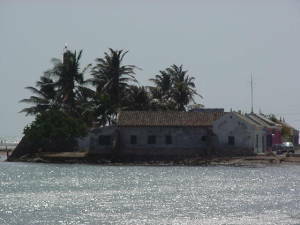 On that coast there is also the fishing town Carirubana and the warm water beaches Los Taques and El Pico. 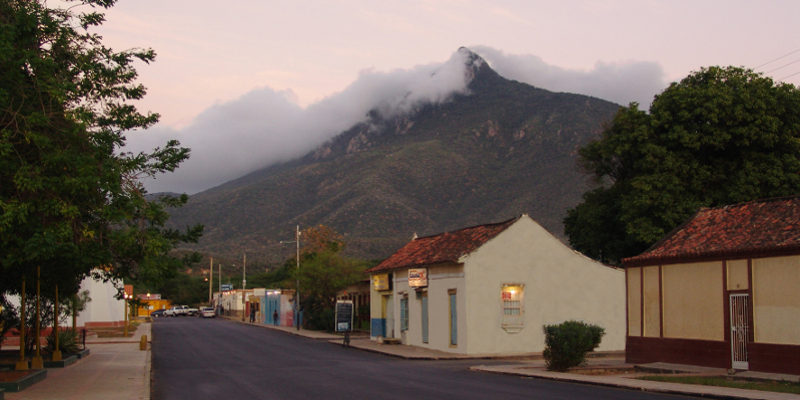 A great attraction in the Peninsula is "El Cerro Santa Ana" (Santa Ana Hill), considered a national natural monument. 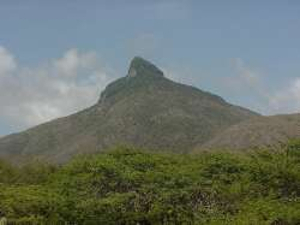 You can reach the top departing from Moruy town where we suggest you hire one of the youngsters that work as guides. The first part of the ascending road is rather hot because of the scarce vegetation, but as the way goes upward and gets through a humid tropical forest the temperature lowers and the air freshens. 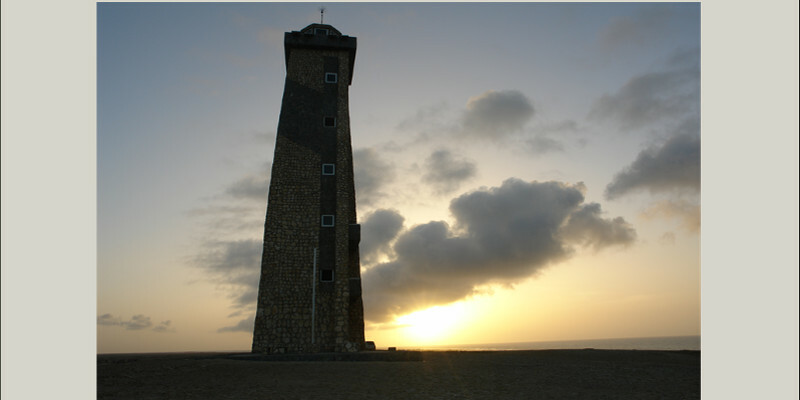 At the top you will enjoy a superb overall view of the peninsula, La Sierra de Coro and Aruba Island. 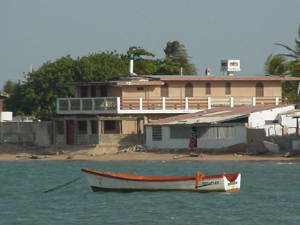 Inside the Peninsula there are several towns such as Pueblo Nuevo, Moruy, Santa Ana, Buena Vista, Jadacaquiva. 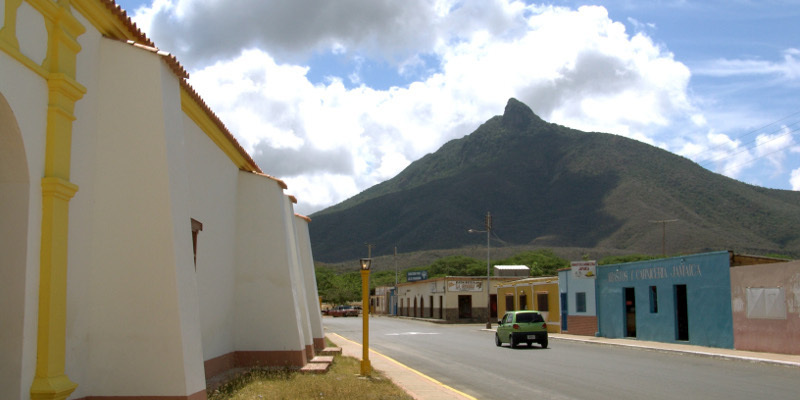 In Moruy you will see a quite interesting hand crafted furniture domestic industry. In all these towns churches show a fine architectural design. 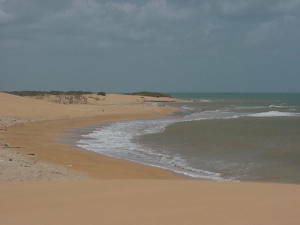 Paraguaná Peninsula is quite arid. 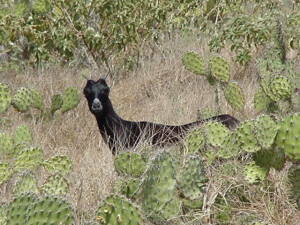 Goats and cardones (bushes from arid zones), are widely spread. 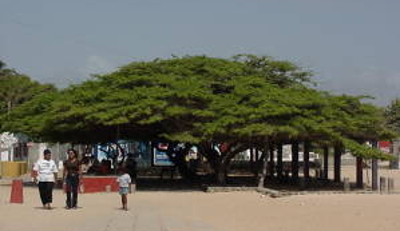 The most common tree is the cuji, which offers a cool refreshing shade as you can see in the picture. 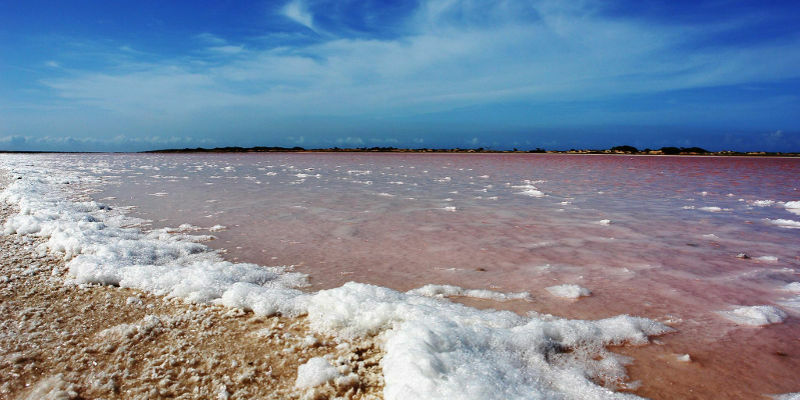 On the eastern coast there are some of the finest beaches: Adicora, El Supi, Tiraya, Las Cumaraguas, which are very popular among holiday makers that come to relish sandy beaches, sun and the Paraguaná breeze. 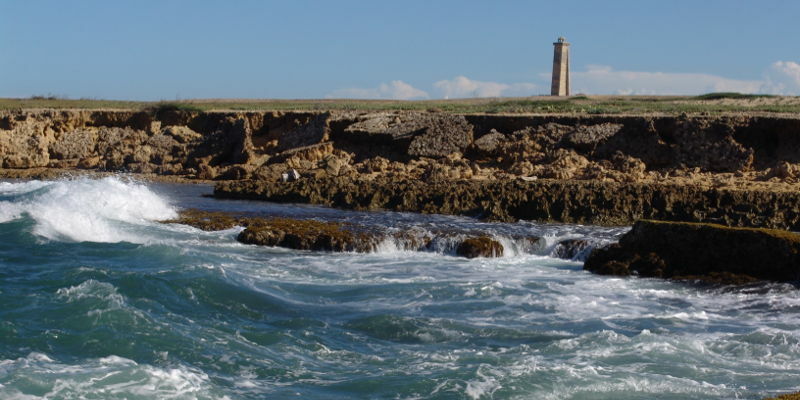 El Cabo San Roman the northernmost point of continental Venezuela is at the end of Paraguana Peninsula. 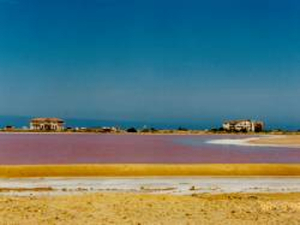 It was discovered on August 9th, 1499 by Alonso de Ojeda accompanied by Juan de La Cosa and Americo Vespucio. Within a short distance from El Cabo there are some dunes next to the seashore, and in your way to Cabo San Roman you will find a tiny village called Puerto Escondido, where you can savour a tasty lobster at a local cozy restaurant. 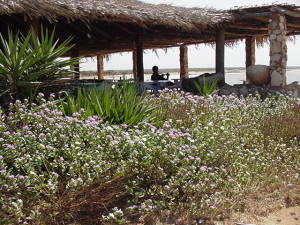 Adicora has two fine beaches to offer: the North and South ones. The latter is an ideal place to go surfing, thanks to the wind that blows hard all the year round. There are several windsurfing schools offering lessons from beginner to advanced levels. 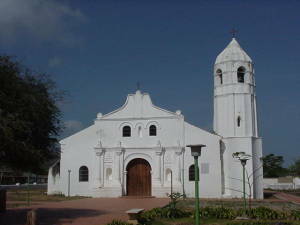 Coro - One of the oldest Venezuelan cities was founded in 1527 by Juan de Ampies. In the old colonial down town you can admire many historically interesting buildings, which made the UNESCO declare the city in 1993 a World Heritage Site.